Agilent has introduced a technological breakthrough in microscopes and chemical imaging systems. The Agilent Cary 610 and Cary 620 FTIR spectrometer microscopes offer a triple combination of the highest spatial resolution, with the largest field of view, in the shortest period of time. The instruments are designed for use in a wide range of applications, including biomedical, materials, polymers, food, forensics, pharmaceutical and chemical. The Cary 610 is a single-point FTIR microscope, while the Cary 620 is a Focal Plane Array (FPA) based chemical imaging FTIR microscope. Until now, the only way to obtain high quality, high spatial resolution FTIR chemical images has been at a synchrotron – a building-sized particle accelerator. Agilent’s announcement has brought the power of synchrotron-based FTIR imaging to the laboratory benchtop. Simultaneous analysis of arsenic and selenium species in tap water was done by IC-ICP-MS. High pressure gradient IC using Metrosep Dual 3 column was employed to achieve ideal separation of As(III), As(V), Se(IV) and Se(VI) prior to injection into an ICP-MS Agilent 7700 instrument. The IC and ICP/MS was synchronized using remote signal. 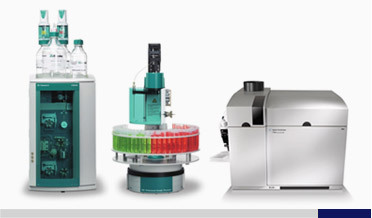 The MagIC Net software controls the sample loading and determination and gradient program while data handling and manipulation is done with the Agilent Chem Station software. By means of IC-ICP/MS, different valence states of arsenic and mercury in the form of inorganic and organic species can be sensitively and unambiguously identified in one single run. Owing to the absence of interconversions during sample preparation, the determination of arsenic species in biological and environmental matrices is straightforward and can be performed by traditional speciation analysis down to the sub-ppb level. In contrast, species transformations of mercury during sample preparation require the use of specific isotope dilution mass spectrometry (SIDMS). 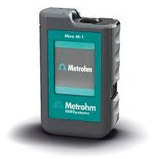 EPA Method 6800 was applied to evaluate and efficiently compensate for potential errors during measurement. 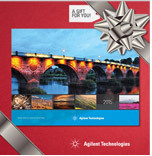 … and the Agilent calendar. Once a year, Agilent takes a sampling of the best photos – and the stories behind them – and compile them in a downloadable calendar. We are pleased to share the 2015 calendar with all of you, our families and friends of Agilent.